We add Wing Tai and Cityneon as our new conviction calls and remove ISDN. Our 2017 August alpha picks had a mixed performance in August. Tianjin was a standout performer, rising 13% mom in August, whereas Memtech was disappointing as the stock declined 5% mom. We keep our faith in Memtech as we expect near-term earnings momentum to remain intact with a potential dividend surprise when 4Q17 results are released. SATS was flat whereas Thai Bev declined 2.6% mom compared to the FSSTI’s 1.6% mom decline in August. Adding Cityneon and Wing Tai. 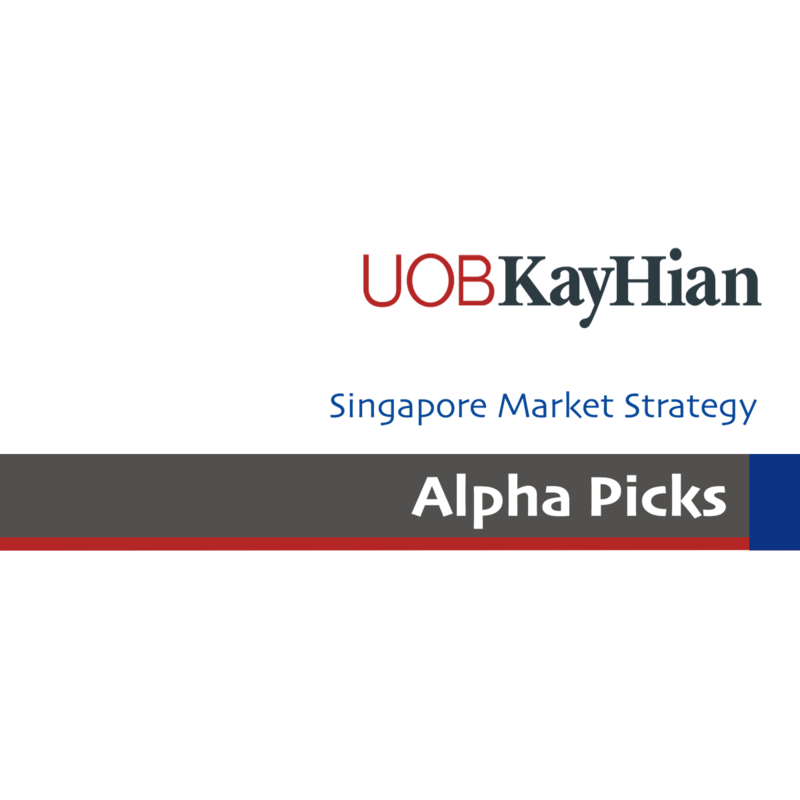 We include Cityneon and Wing Tai in our alpha picks list and remove ISDN in view of market volatility. Cityneon looks attractive given its inexpensive valuation, at FY18F PE of 10x compared to peers’ 15x, and its recent acquisition of Jurassic Park Exhibitions (JPE) at 5x earnings is accretive. Wing Tai is an attractive developer with low gearing and trading at a steep discount of 39% to our RNAV estimate of S$3.48. BUY with RNAV-based target price of S$2,61. Our target price is pegged at a 25% discount to RNAV of S$3.48/share. Wing Tai is trading at a P/B of 0.52x (lowest within our coverage) and a deep 39% discount to its RNAV. Share Price Catalyst Event: Launch of the recently-acquired Serangoon North Avenue 1 site. Wing Tai plans to develop over 600 homes on the 99-year leasehold residential site with a GFA of 462,561sf, situated within a mature residential estate in the Serangoon Garden area. We also see potential for Wing Tai to buy more landbank given its S$1.5b acquisition headroom. Accretive acquisition of JPE at 5x earnings with a profit target. This would be Cityneon’s third Intellectual Property (IP) and is a new growth driver. We have a street-high PE-based target of S$1.50. Cityneon’s FY18F PE of 10x is cheap compared to its peers’ valuation of 15x. Share Price Catalyst Event: Further orderbook wins and possibly more new IP rights over the next 12 months. Stronger-than-expected performance from the traditional business could be a catalyst. Timeline: We expect new orderbook wins over the next 3-6 months to provide further earnings visibility. Potential beneficiary of Qantas’ return to Changi Airport after a five-year hiatus, making Changi its largest hub outside of Australia. SATS is already providing catering and ground handling services to Qantas’ sister airline Jetstar. An excise tax hike is expected on 16 Sep 17. We expect increased sales volume in 4Q17, as sales agents typically build up inventory ahead of excise tax hikes. Also, there could be margin expansion as THBEV is able to pass through 100% or more of the excise tax increase to customers through higher ASPs. Share Price Catalyst Event: Recovery of alcohol consumption will likely enhance earnings for 4Q17. We also expect increased sales volume in 4Q17 prior to the excise tax hike in September and the end of the mourning period. Timeline: Excise tax hike in 16 Sep and 4QFY17 earnings release. Timeline: 3Q17 results as higher ASPs gradually flow through to earnings and potential upside from SOE reforms. Maintain BUY and PE-based target price of S$1.15, pegged at sector FY17 PE of 12.5x. Share Price Catalyst Event: Better-than-expected earnings and dividends.